This delightful dish is simple to make. The carrots are cooked to perfection and glisten in their cider glaze. 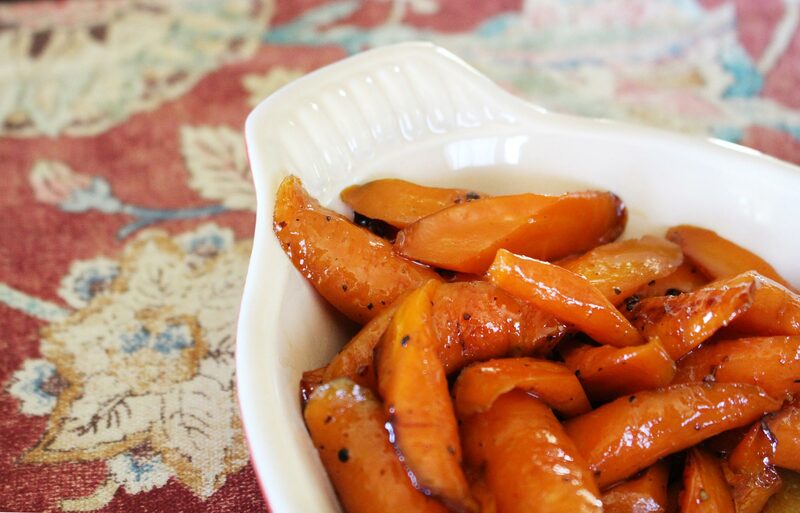 They make a wonderful side dish for any holiday meal! Add carrots to sauce pan with cider, water, butter bits, 1/4 teaspoon salt, and 1/8 teaspoon pepper, then cover with lid slightly askew and simmer, stirring occasionally, until most of liquid has evaporated and carrots are tender and glazed, about 50 minutes.